Below are a few resources to help you through your start-up phase. Scroll down to check them out. Outreach Tips (a guide or checklist) – Make your Repair event rock! 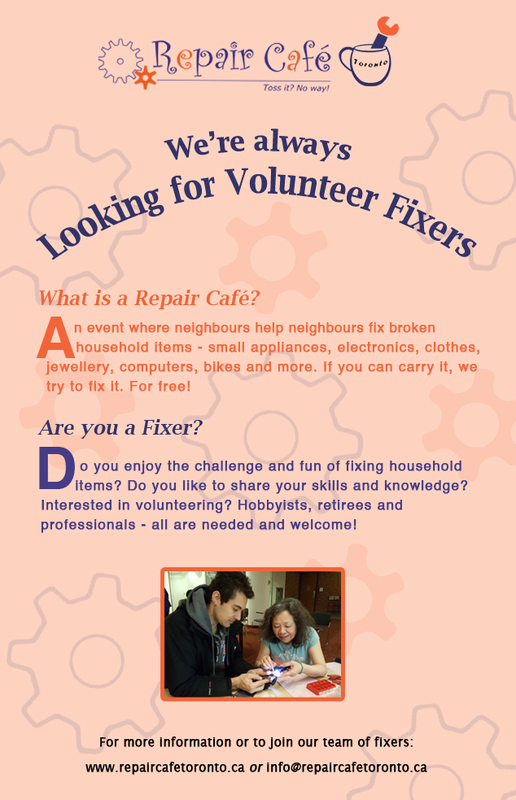 Repair Café Toronto delivered a workshop in October 2014 to share our experience on starting a Repair Café. Below is our PowerPoint presentation.